Heat oven to 350° F. Spray 48 mini muffin cups with cooking spray. In medium bowl, mix cookie mix, softened butter, egg and lemon juice until soft dough forms. For each cookie bite, shape 2 teaspoons dough into ball, and place in mini muffin cup. Push down centres of balls to form little cups. In medium bowl, beat cream cheese, icing sugar and 1/2 cup of the lemon curd with electric mixer on medium speed until well blended. Spoon mixture into decorating bag fitted with tip. Fill each cup with a teaspoon of mixture. Bake 9 to 10 minutes or until cookie edges are turning golden. Cool completely before removing from pan. When cool, top each with 1/4 teaspoon lemon curd. 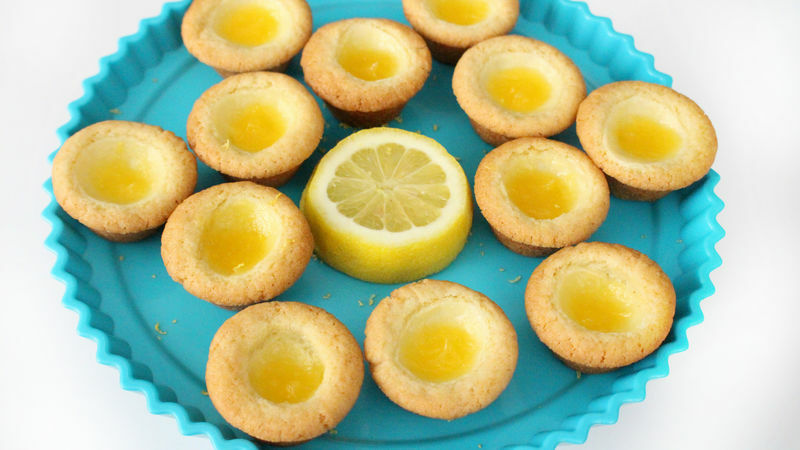 If you love these cookies and want another fabulous way to enjoy, swap out the lemon curd and juice for lime!